You usually don't plant bulbs for one season of flowers. Bulb plants usually make return appearances, blooming not just the first year but for a few years after. Some bulbs do even more and naturalize in an area. Naturalizing means that bulbs move right in and make themselves at home. Flowers from naturalized bulbs don't stay in straight rows. They look like Mother Nature planted them, with a few scattered blossoms here, a few other there. If you like an informal look of scattered flowers, naturalized bulbs make it easy. They are simple to plant and require virtually no maintenance once established. Here's how to get started. Flowering bulb plants count among nature's best magic, since the bulb is more than just a seed. It holds everything the plant needs to get a start in life. The plant's foliage recharges the bulb after blooming, so that it can bloom again the following year. Naturalized bulbs go even farther. Bulbs that are good for naturalizing offer their flowers spring after spring for decades. But they also form new bulbs and expand their range. The number of flowers increases year after year without any action on your part. You don't need to seed or divide. Naturalized bulbs create new bulbs themselves, slowly but surely spreading through the area and creating a beautiful, meadow-style planting. 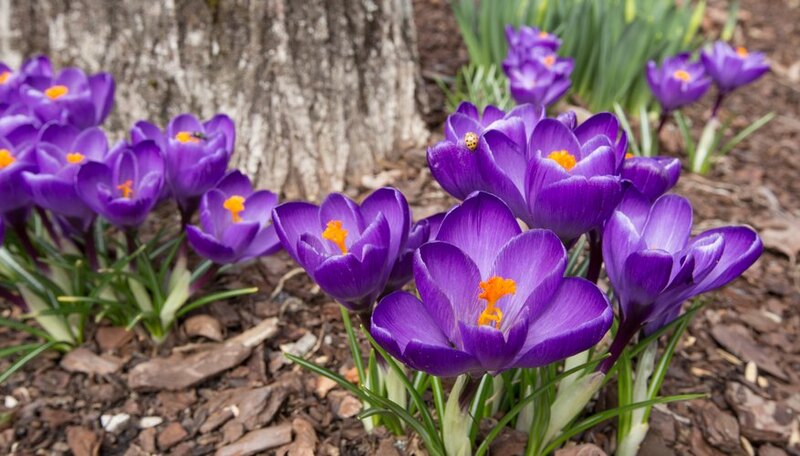 Creating the glorious natural look of scattered flowers is easy with naturalized bulbs. In fact, it's much easier than planting flowers in straight rows like in a formal garden. All you have to do is install the right bulbs in the right place. First, pick bulbs labeled “good for naturalizing.” (We've included a short list of the best naturalizers for spring and summer.) Then pick a sunny location that people don't walk on much, one that has well-draining soil. Third, map out an area for your new bulb plant neighborhood. Make it asymmetrical if possible to keep with the natural theme. Work compost into the soil, then scatter the bulbs there on top of the soil. Dig holes where they land and put in bulb fertilizer before planting. Water well. Properly planted bulbs do not need your help or attention. Leave those plants alone while they bloom, then leave them in place until they die back. Naturalizing bulbs are best served by neglect. The key to helping them recharge their batteries and expand their range is to leave the foliage in place until they die back on their own. When the flowering is done, they aren't as pretty, but let them remain in place to do their photosynthesizing thing. If you prefer your bulbs to bloom a bit later, plant them in an area where the grass doesn't need to be cut, and the foot traffic is minimal. Here are some bulbs that naturalize well and bloom in early summer. Gardenista: The Garden Decoder: What Does It Mean to ‘Naturalize’ Bulbs?